Russia’s Syria Intervention a Blessing in Disguise for U.S. 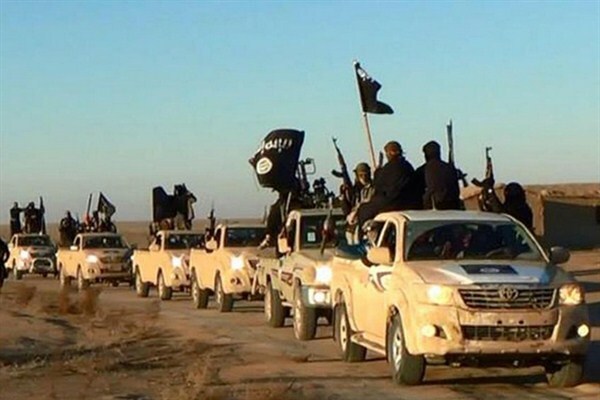 In this undated file photo, militants of the Islamic State group hold up their weapons and wave its flags on their vehicles in a convoy on a road leading to Iraq from Raqqa, Syria (Militant website via AP). Russian President Vladimir Putin’s decision to intervene militarily in Syria and work with Iran and Iraq to defeat the Islamic State has been met with a rather predictable response among Washington pundits: Putin is strong, and Barack Obama is weak.